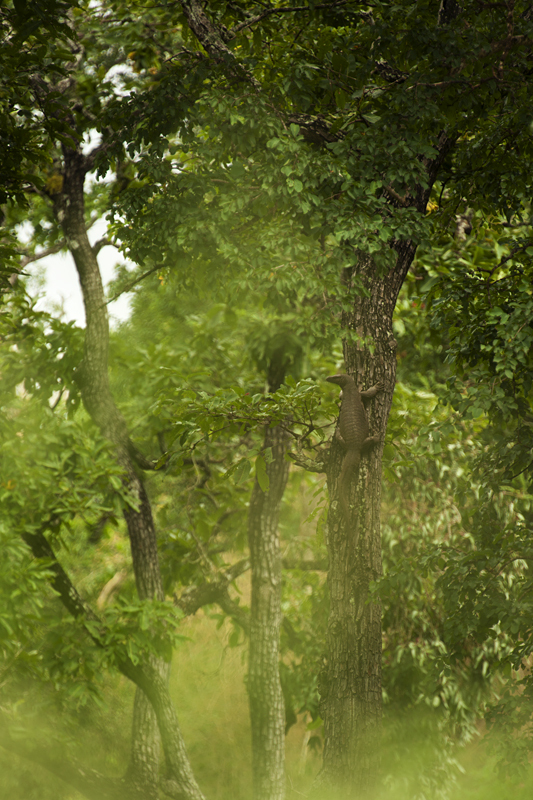 One morning we were on a jeep safari into the Bandipur national park and we reached an area in the park where a Leopard was spotted the previous evening. So everyone in the jeep was looking into the trees trying to spot the cat. 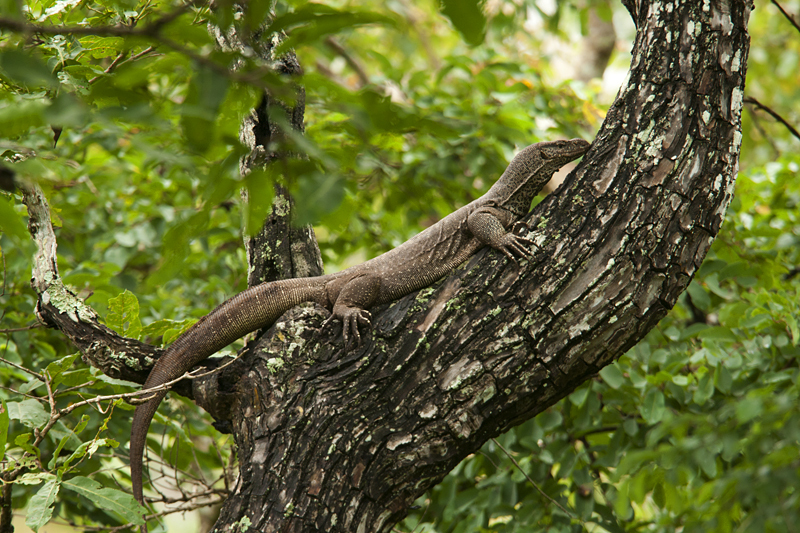 That is when our naturalist in the jeep spotted this Monitor Lizard slowly climbing up the tree at a distance. 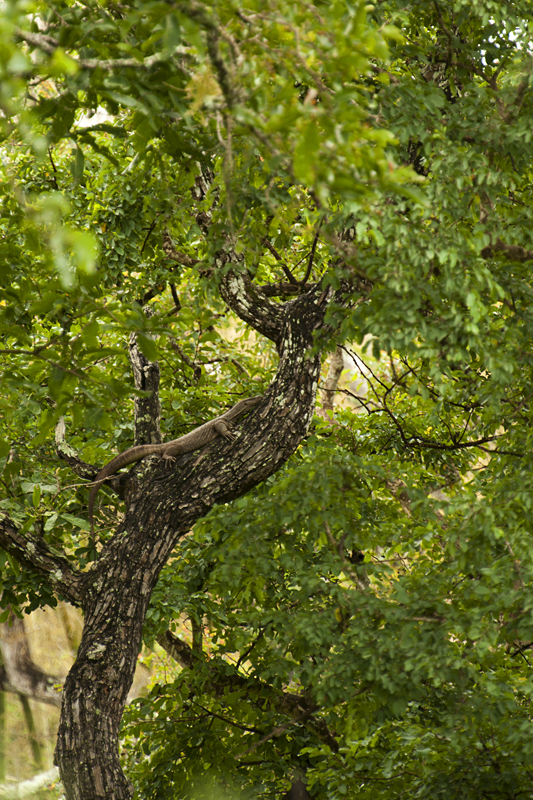 It took us a while to follow his directions and spot the Lizard as it was so well camouflaged. The way we first saw it is as depicted in the last image in this series. 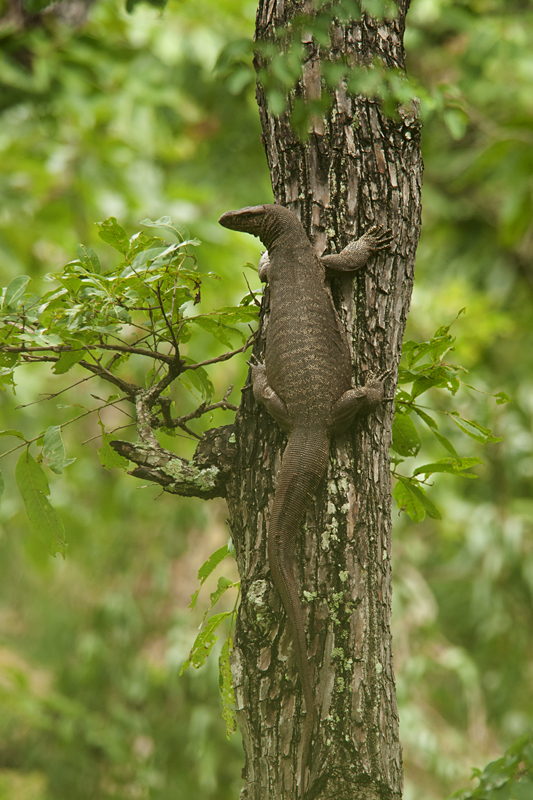 We had never seen a Monitor Lizard climbing a tree like this before in the Indian wilderness. 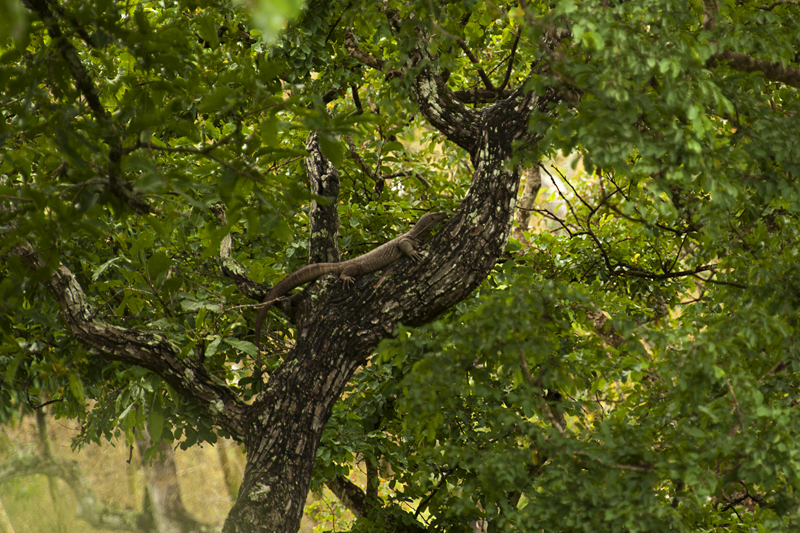 And we enjoyed watching this one climb the tree and perch itself at a position as seen in the first image. Another interesting fact that we observed was how well this massive subject got camouflaged and became literally invisible once it stopped moving. Our camera setups; firstly the D300 with 300mm f2.8 with 2x TC helped us get close to the action and secondly the D700 with the 70-200mm f2.8 helped us capture the moment as we saw it. Talking about Leopard sightings in Bandipur National Park, this sighting of a Leopard being chased by Dholes ( Indian Wild Dog) was an exciting experience. We followed it with this sighting of a Tiger with four cubs which till day one of our cherished memories in the Indian wilderness. Great captures of this fascinating and huge reptile and very interesting narrative about how you discovered it! I am not sure I would like to run into one. I like the closeup. Great one.